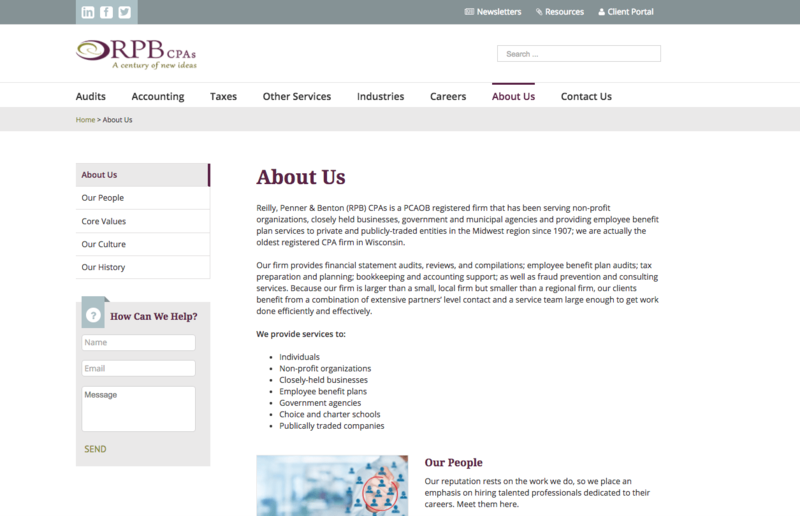 Reilly, Penner & Benton (RPB) CPAs is a PCAOB registered firm that has been serving non-profit organizations, closely held businesses, government and municipal agencies and providing employee benefit plan services to private and publicly-traded entities in the Midwest region since 1907; they are the oldest registered CPA firm in Wisconsin. 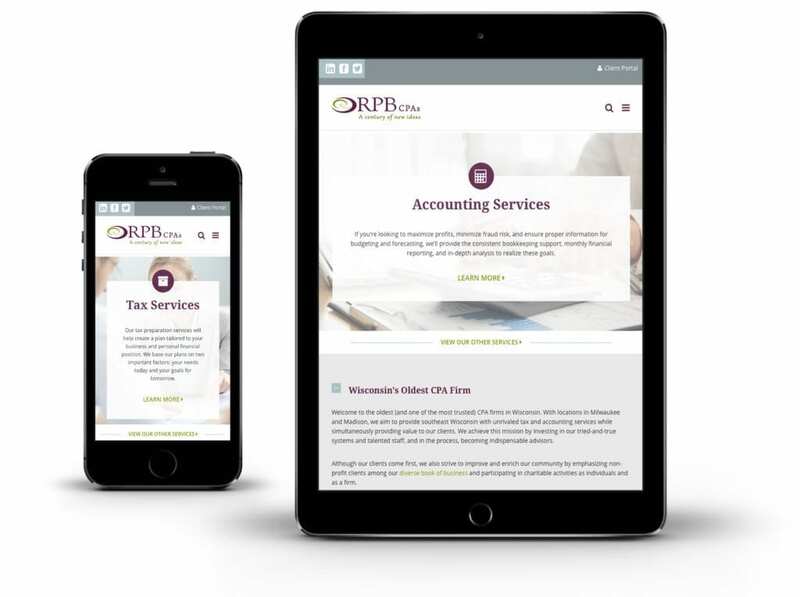 We were challenged to design RPB a professional, endearing and visually appealing hub for the RPB brand in the digital marketing space. 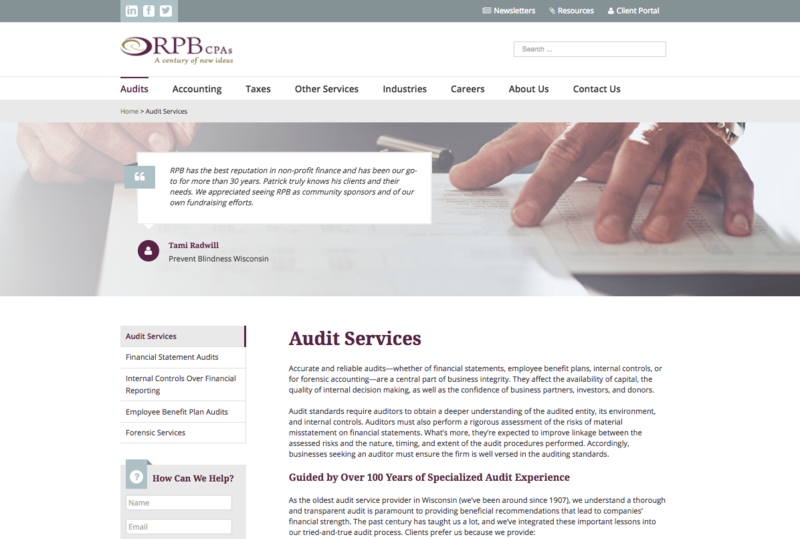 The newly designed RPB website would imbue the embodiment of their brand legacy and staff continuity of being the oldest CPA firm in Wisconsin. Creating a visual representation that communicated RPB’s history in the marketplace lent itself perfectly with positioning RPB ahead of the competition as expert practitioners of their craft. We always start with partnership.  We make sure to keep clients informed throughout the development and implementation phases of any project. Our discovery process followed initial talks. We built personas, researched content for the personas and developed a site map and wireframe. From there, we fleshed out the rest of the project and completed graphic design, the primary site sections, additional features, front end and back end development, QA, server setup and website launch. 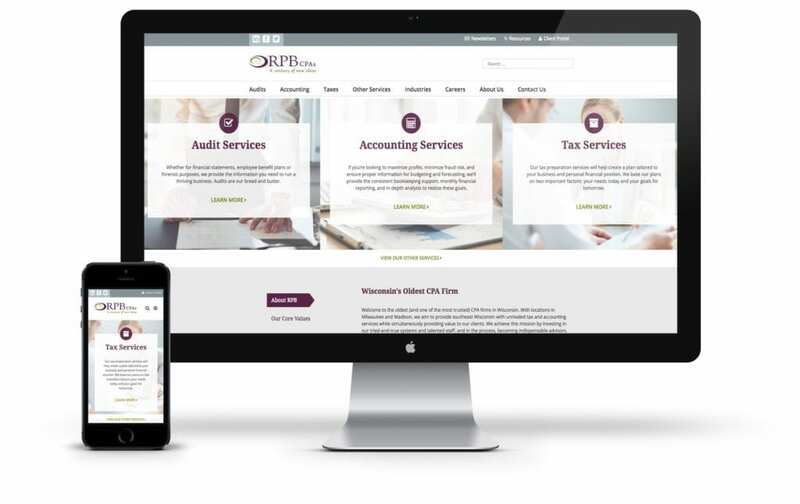 We worked to ensure that RPB’s brand recognition stayed in the spotlight when developing their website. 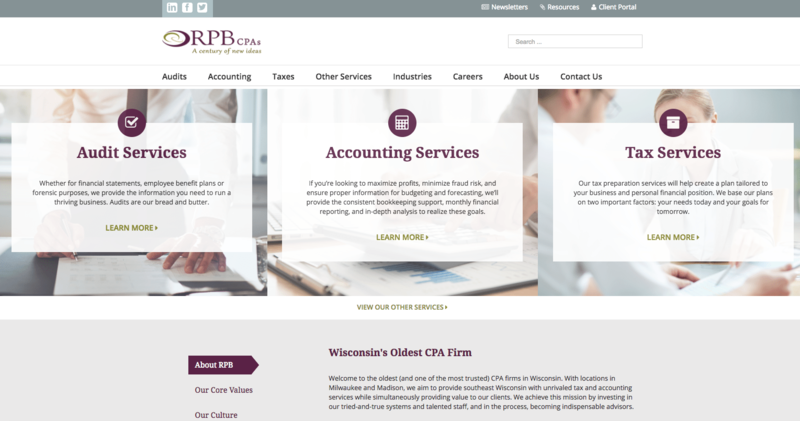 Currently, the broad term ‘cpa firm milwaukee’ returns SERP in Google with RPB at the number one spot. We made sure that their website represented why they are at that spot. 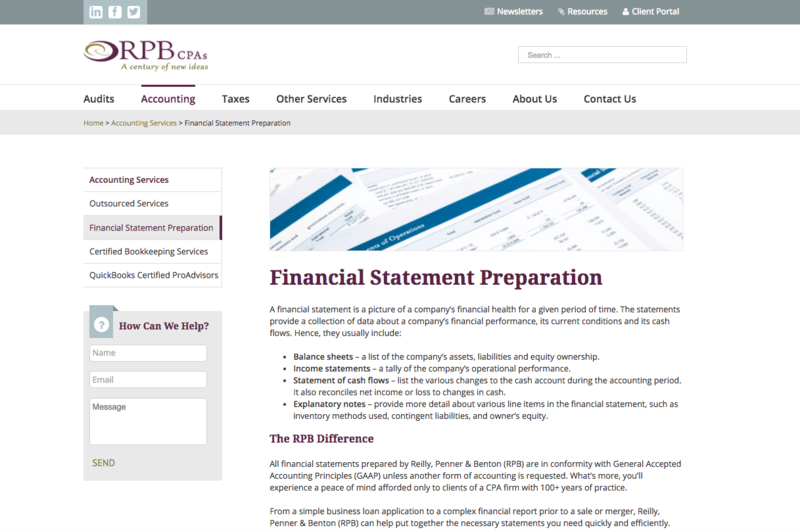 The website is easy to navigate with an emphasis on accessibility while always keeping RPB’s experience top of mind.